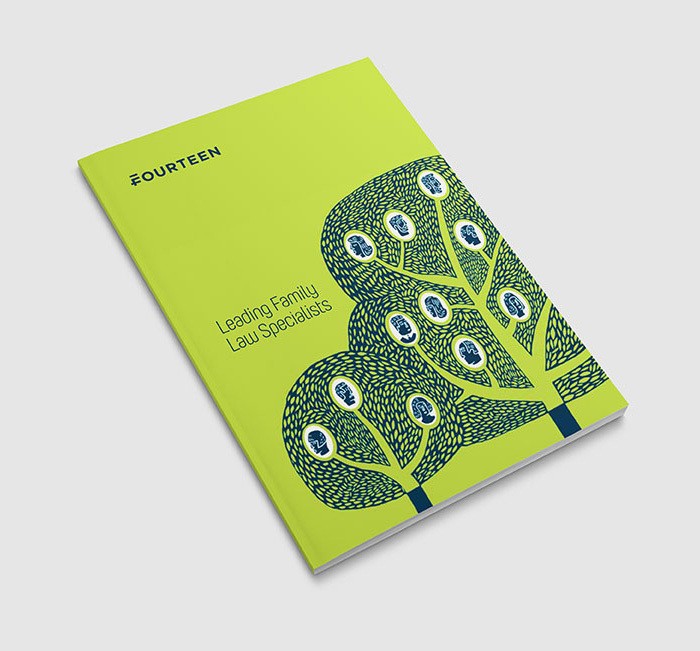 (Previously “14 Gray’s Inn Square”) “Fourteen is a leading family law set in London with a national reputation for excellence. With dedicated practice teams in children law, family finance, the Court of Protection and international family law, our barristers provide specialist representation and advice. We also have a team of trained mediators who work with private individuals and local authorities in a range of family law disputes. 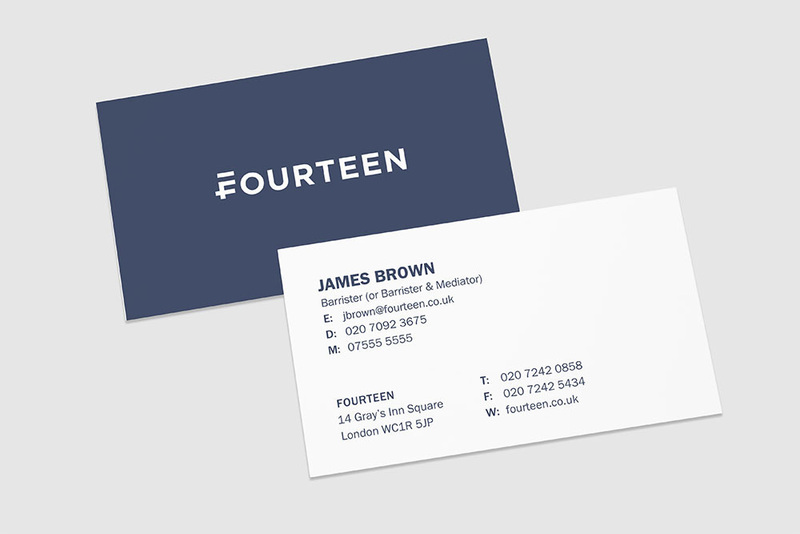 The new identity for FOURTEEN includes a numeral 14 turned sideways to make the initial 'F'. The unconventional approach follows throughout the branding with a vivid colour palette and characterful illustrations. 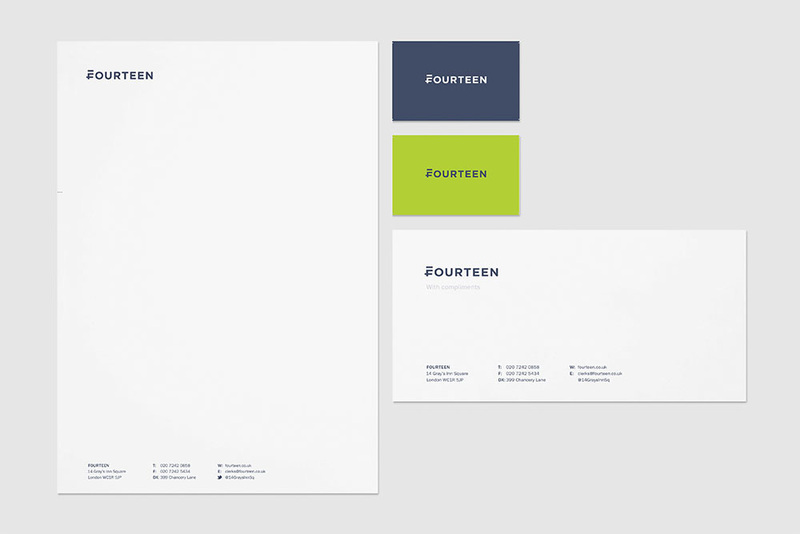 The new logo is part of a broader project to re-brand the chambers of 14 Gray's Inn Square to simply FOURTEEN. The "F" doubling as a "14" is quite brilliant and is perfectly done, keeping some of the inherent quirk in turning the number sideways, forcing viewers to take a deeper look. The illustrations are pretty nice too. (Previously \"14 Gray's Inn Square\") \"Fourteen is a leading family law set in London with a national reputation for excellence. With dedicated practice teams in children law, family finance, the Court of Protection and international family law, our barristers provide specialist representation and advice. We also have a team of trained mediators who work with private individuals and local authorities in a range of family law disputes. A number of former colleagues are now senior members of the judiciary and several current members combine their practices at the Bar with part-time judicial positions. We are a dynamic and forward-thinking set of Chambers and offer an approach that is both specialist and personalised. We have occupied a prominent position in the legal marketplace for many years and have consistently been recognised for our excellence in the legal directories.\"